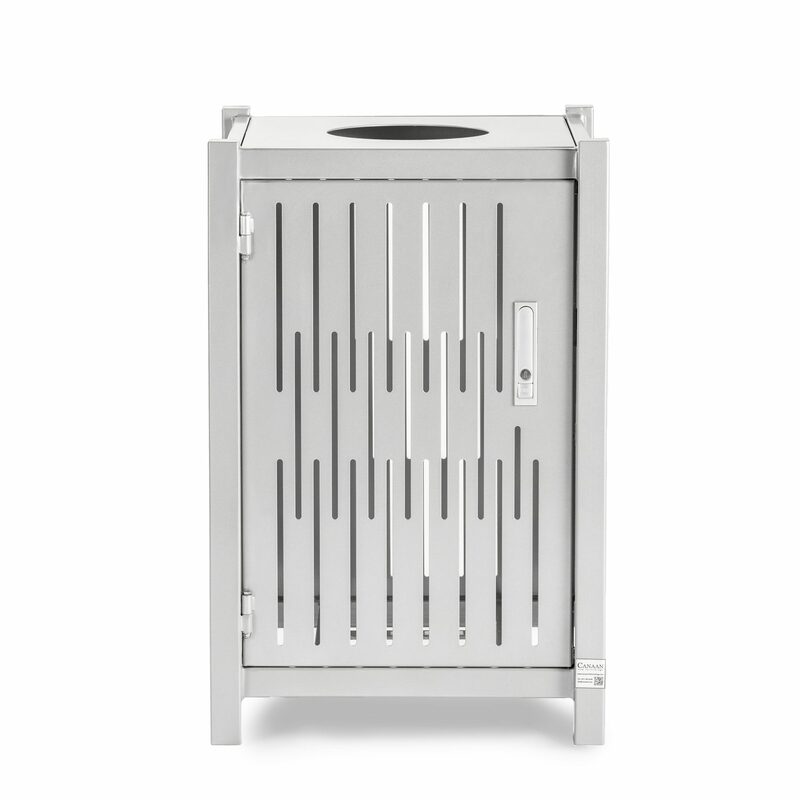 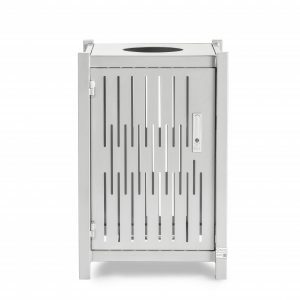 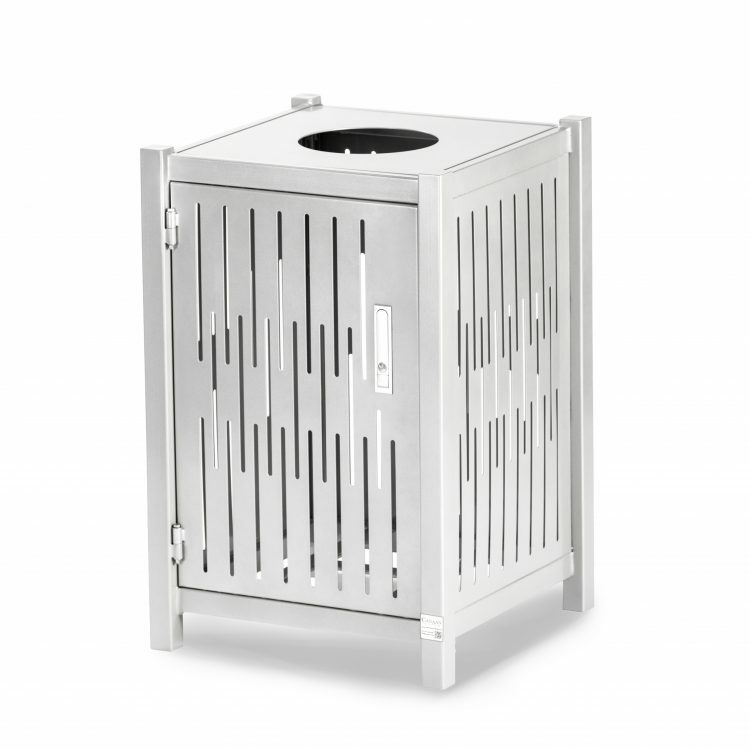 Sleek, modern trash can with cam latch. 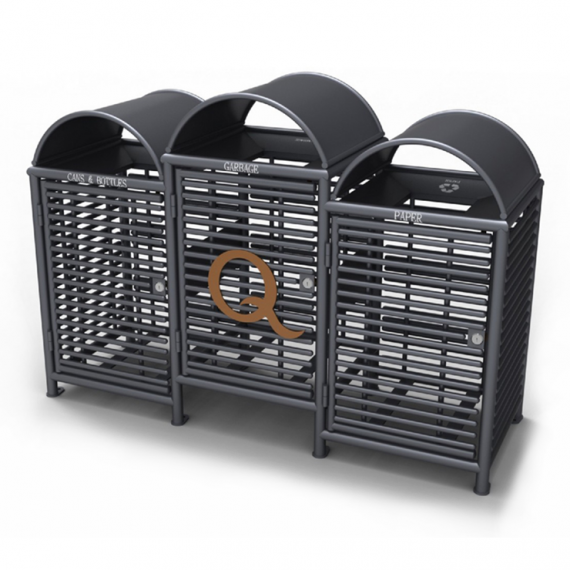 Available in steel, stainless steel, or recycled plastic construction. 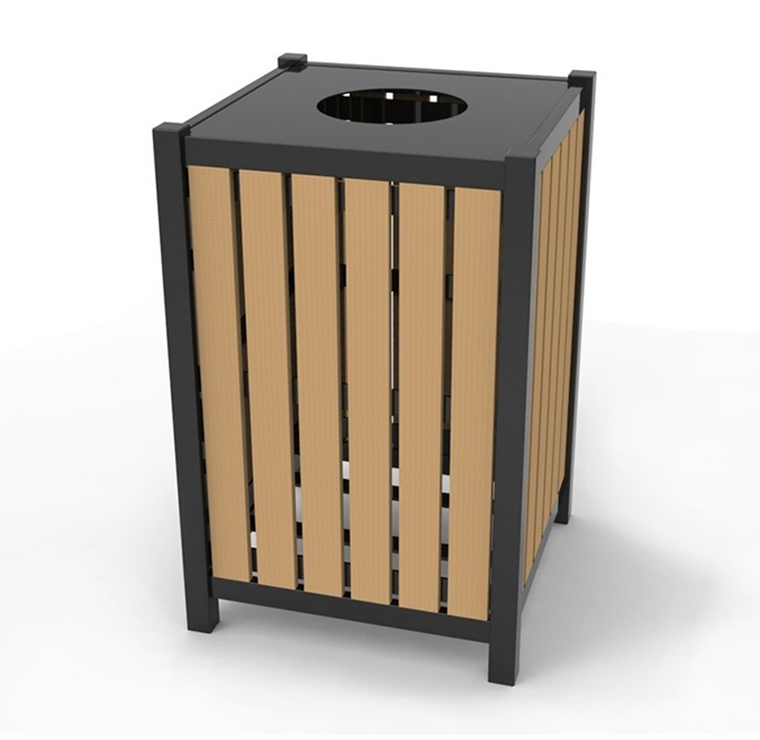 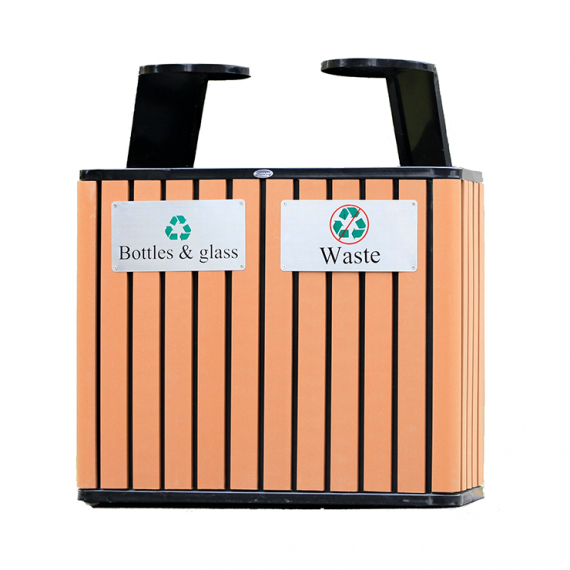 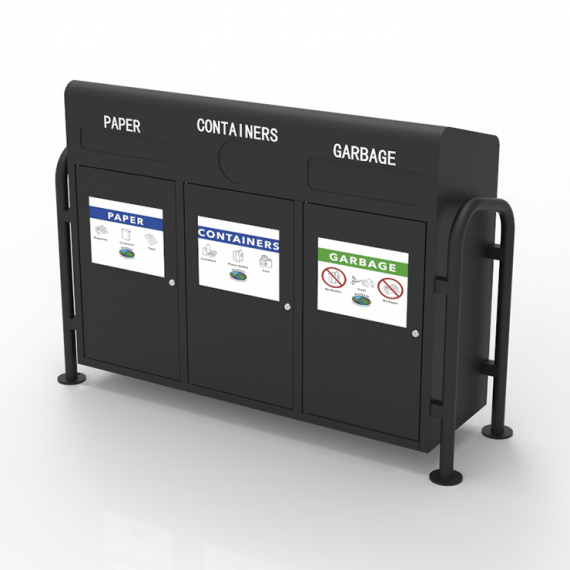 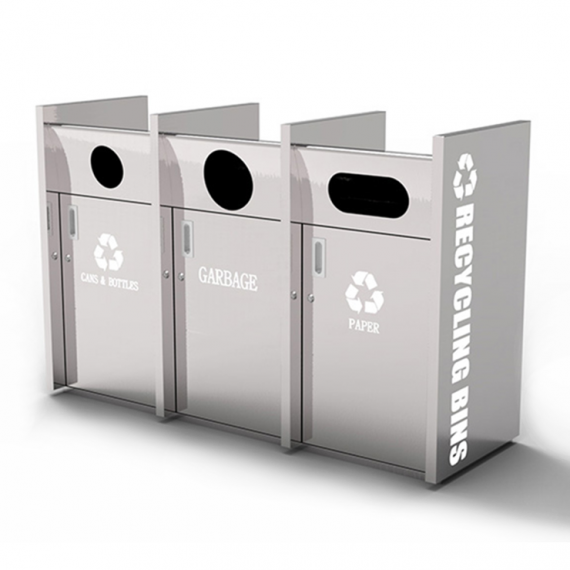 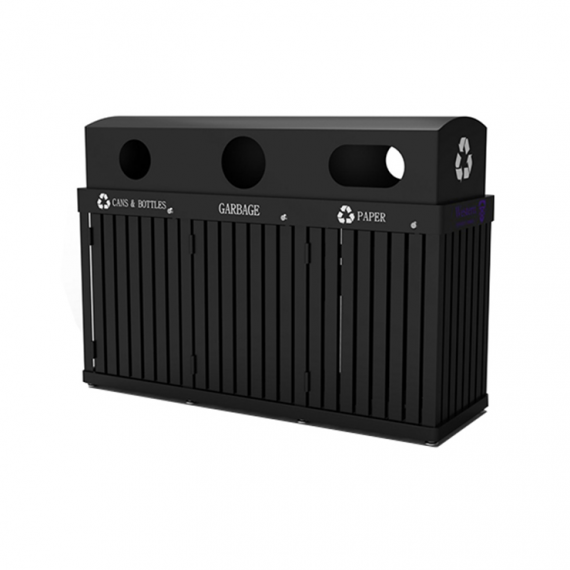 CAY-128 is constructed with 100% recycled plastic wood, steel, and galvanized steel liner.